Step out of your room & onto the beach. Set amidst a beautiful palm tree lined property, The Sea Shell Resort & Beach Club features 53 island-inspired rooms and suites, including 6 oceanfront accommodations each with a private balcony overlooking the Atlantic Ocean. Located directly on the beautiful beaches of Long Beach Island, you’re steps away from walking where the water meets the sand. Inspired by the Caribbean islands, our beach resort also boasts two on-site restaurants, a sushi bar, an authentic outdoor tiki bar and Long Beach Island’s only upscale martini lounge & wine bar – 10 South. Leave the keys in your room. Located right on the beach in the heart of Beach Haven, NJ allows our guests to not rely on personal vehicles or shuttles during their stay. Relax on our private, palm-tree lined sand beach on one of our lounge chairs or around our fire pits. Listen to live entertainment while our staff caters to your food & beverage needs. Prefer to explore? The resort is walking distance to popular bars, restaurants, shops, Fantasy Island & LBI entertainment. 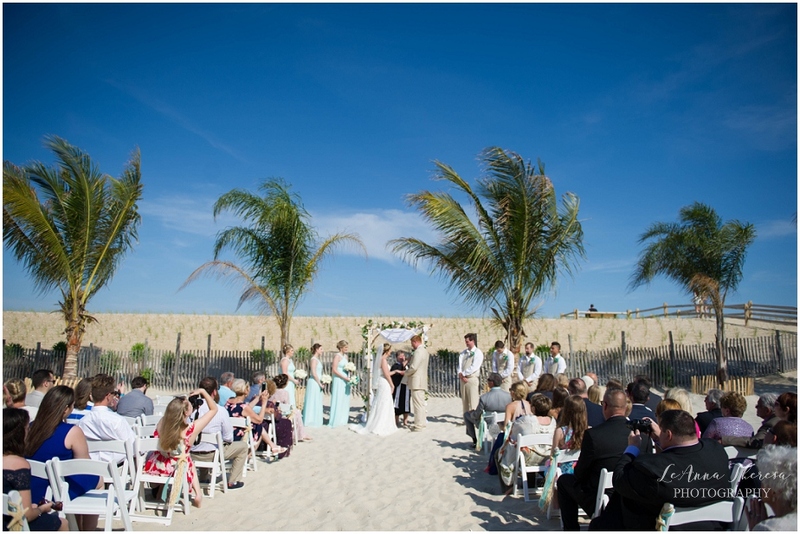 Say “I Do” with your toes in the sand and the beach & beautiful waters of LBI as your backdrop. As a full-service wedding and event venue, The Sea Shell Resort offers on-site ceremony & reception locations, guest lodging, elegant food & event planning. Proudly offering an outdoor lunch & light fare dinner restaurant, a full service indoor/outdoor dinner restaurant, a martini lounge & wine bar, and a sushi bar - our guests are able to enjoy meals right on resort property. 18-mile-long island strewn with small shore towns and long stretches of white sand.